Spectacular swimming beach in your backyard! 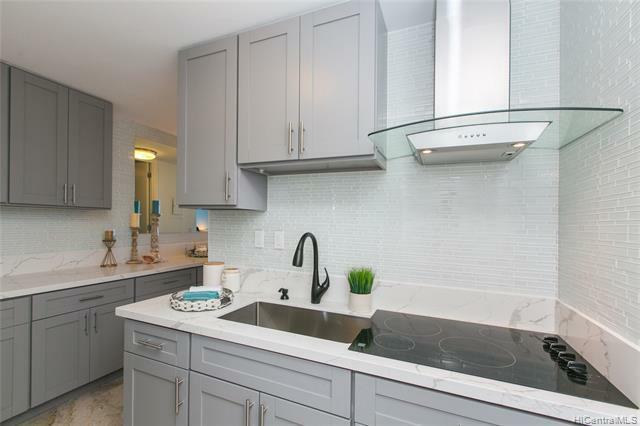 One of the most beautiful & tastefully remodeled ground floor units. 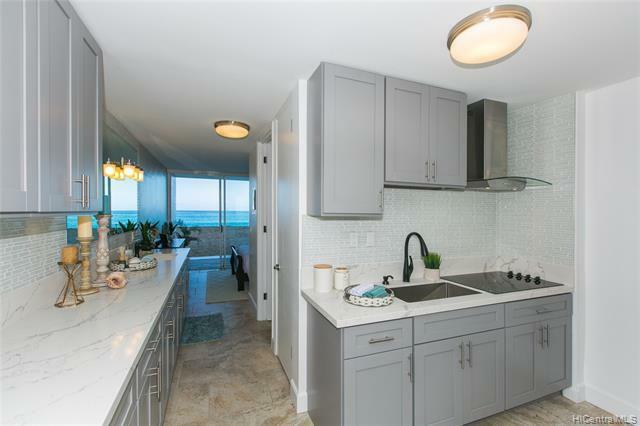 Walls were removed to showcase a spacious open floor plan, with unobstructed ocean views from the front door to the lanai! 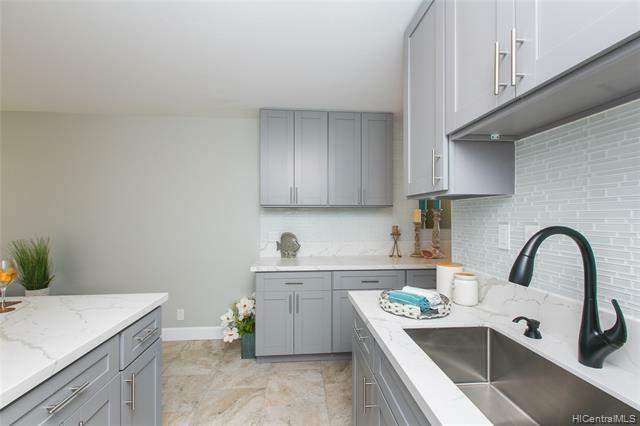 New flooring, new vanity, new kitchen with custom cabinets & gorgeous marble countertops, new light fixtures, new faucets, extra deep SS sink, new SS appliances with warranty, tankless water heater, and space saving "bar island for dining". The views of the beach are breath-taking, you can see the spectacular sunsets from your bedroom and living room. Roll out of bed onto your lanai and beautiful white sandy beach. This is a "one-of-a-kind custom remodel", with exquisite designer touches. 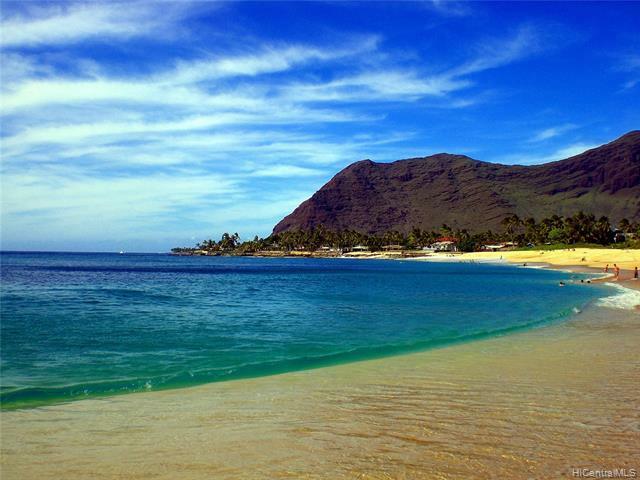 Watch the whales, monk seals and sea turtles from your lanai! Vacant. Listings provided courtesy of Realty By The Sea.